5 Tips For Building a Home Gym and Maintain your Motivation. Gym memberships aren’t cheap but it is amazing how many people choose to throw away good money on a membership they don’t use. Despite the expense, it is thought that around 80 percent of Americans who have a gym membership does not use the gym, and if this sort of pattern is followed around the world then that’s a lot of money unnecessarily going down the drain. Anyway, one thing I know there’s no simple answer. Today I am giving you five tips that you can use actually to build your home gym. People tend to have a love/hate relationship with their local gym or workout center. They are usually paying a monthly fee to be a member, and know they should go. 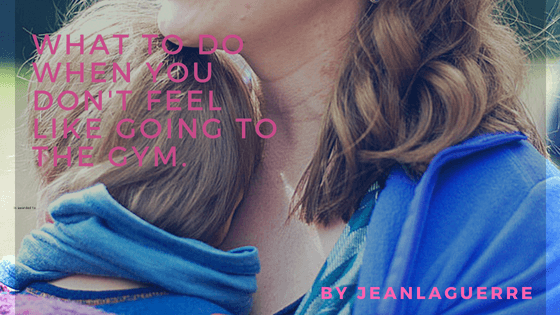 However, after working all day, picking the kids up from school, and fixing dinner, who has time to go to the gym? It would be much easier and cheaper to find ways to workout at home. What if you were to take it one step further, and create a home gym? What are some ways you can do this in order to get the most benefit? The first thing you have to determine when building a home gym is where you are going to put it. In order to maintain some organization and avoid distractions while working out, it’s important for the gym to be separate from everything else. Choose a guest bedroom that isn’t getting used, a closed off area in the basement, or possibly part of the garage. Make a list of the equipment you want to have and make sure there is enough room for everything to fit. Once this is done you are ready to start creating your home gym. You can create a gym that revolves completely around your likes and dislikes. If you hate the treadmill or stationary bike, don’t bother making one of these a part of your home gym. Strength training would require a weight machine or free weights as part of your workout routine. Yoga mats, steppers, elliptical machines, fitness balls, and stretch bands are part of the endless supply of workout equipment to help with your daily mantra. The important thing is creating a gym around your likes and dislikes in order to keep you motivated and active. The only thing better than having a home gym is using it. Even though you have easy access to workout now, it’s still going to tough to keep up with it if we don’t have a daily routine. Carve out an hour or two during the evening, or possibly before you go to work in the morning to use the home gym. Grab another family member and workout together. This is one way you can avoid the excuses and maintain the motivation to keep at it. A home gym is one of the best ways for your family to create and stick to a daily workout routine. It’s also the cheaper route when you think about how much a gym membership is on a yearly basis. You can motivate and encourage each other to reach your fitness goals and have a great time while doing so. Not only are you getting in shape, but spending important quality time with your whole family. How would that change your situation? Thanks for reading. Be well. And if you found it helpful, please share it. This is Jean Laguerre. I hope you have an excellent day.